Afghanistan is a country overwhelmed by tribal rivalries, colonial wars, and geo-political conflict. The Afghans have always called their mountains "the land of rebellion." Yet born of such chaos, such entrenched conflict are these most breathtaking and beautiful of images. The distinguished American photographer Steve McCurry has traveled to Afghanistan regularly for more than 40 years: he is arguably the most accomplished photographer to work in the region. His famous 1984 portrait Afghan Girl--sad and haunting, but at the same time evoking remarkable grace and dignity--published on the covers of magazines around the world is perhaps his single most striking portrait. In common with so much of McCurry's work, it has a timeless, painterly quality--entirely at odds with the battle-torn backdrop of the region in which it was taken. Steve McCurry has always been subjected to the same dangers that are an inevitable part of life "on the road" for photographers. He has often ventured behind the lines, usually at great risk; his first assignment in Afghanistan in 1979 involved him dressing in Afghan robes in order to be smuggled across the border from Pakistan. 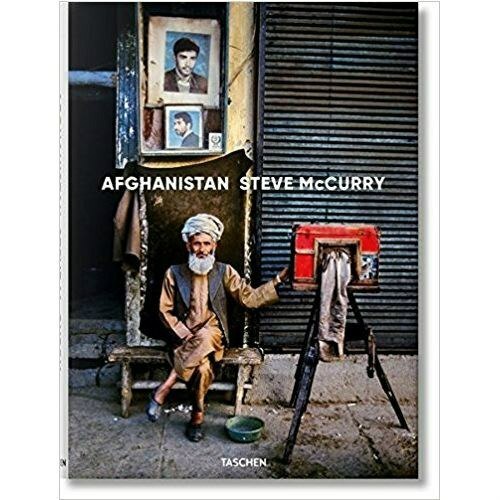 That journey, into the treacherous, unpredictable landscape--territory controlled at various times by the Mujahideen, the Russians, and the Taliban--was one that McCurry would make many times. Many other photographers would follow in his footsteps. But none would return with such a flawless body of work.